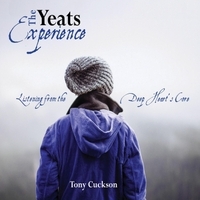 Enjoy the inspirational poetry of W. B. Yeats shared by Irish storyteller and author Tony Cuckson. Listen from your deep heart's core and learn to companion your greatness. Discover the experience of feeling blessed. Let this inspired audio collection of the poetry of William Butler Yeats take you on a magical journey. Travel to the enchanted wood where you will meet with the mysterious glimmering girl who knows you by heart. Come away and listen to the sensational child who isn’t quite sure if he really does want to go to fairyland and leave the suffering of the world. Learn to know what it is to feel blessed and know that you are here to bless others. Journey across to the island of freedom where you will find that peace which comes dropping slowly and you are able to listen from the deep heart’s core. Accept the poet’s invitation to come and dance in the holy land of Ireland where you cannot tell the dancer from the dance. Learn what it takes to companion the greatness inside you. Sit by the fire and experience those beautiful moments of glad grace. Listen to Irish storyteller Tony Cuckson invite you into the magic of your own journey through the poetry of W. B. Yeats. This audio presentation is accompanied by a FREE 10 lesson audio program available for download. This inspirational bonus shares with you the deeper invitations from the poems in this collection.